*Area, Population and Density rankings refer to Lunenburg’s relative position among Vermont’s 255 civic entities (9 cities, 242 towns, 4 gores and grants). Complete rankings are here. 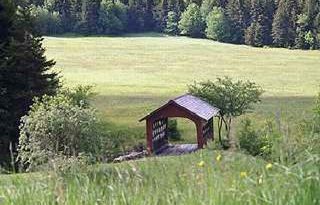 As with nearby Brunswick and Ferdinand, Lunenberg was named in honor of the victor at Minden in the Seven Years War, Prince Karl Wilhelm Ferdinand of Brunswick-Lüneburg, as part of Benning Wentworth’s ongoing but unsuccessful efforts to win favor with George III. 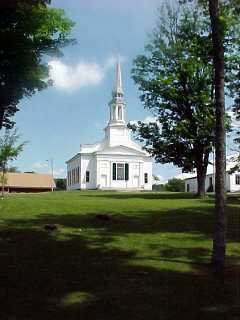 The Old Congregational Church (pictured above) is said to be the most photographed church in the US (though Townshendmakes the same claim). The village of Gilman records an American success story that is somewhat unusual in Vermont. Isaac Gilman was born to poverty in a Russian village, came to New York City in the 1880’s, and later founded the Gilman Paper Company. At some time he acquired an interest in a company in what was then Lunenburg’s village of Fitzdale. By 1907 that company was in financial difficulties, whereupon Gilman took it over and converted it to the manufacture of what was then a new product: Kraft paper. Making a success of the new venture, Gilman settled down in the village and, according to the local story, became a favorite son. It is said that he, in turn, became so fond of the people in his adopted community that he built two churches, one for the Roman Catholics and one for the Protestants, but no synagogue, since he was the only Jew in town. In 1921 the village changed its name from Fitzdale to Gilman in his honor. 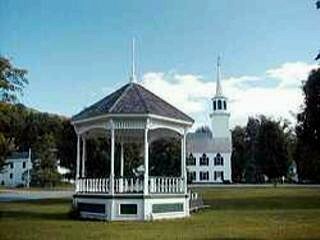 Our function is to restore and preserve the historic buildings at the top of Lunenburg’s town common and raise funds to accomplish this. 802-892-6654. 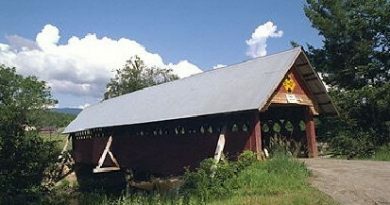 Click Here for a map of all bridges in Essex County.